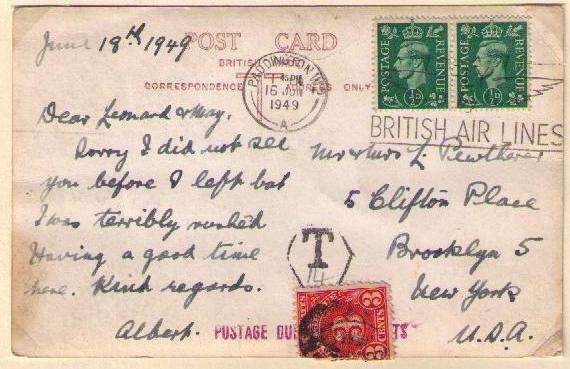 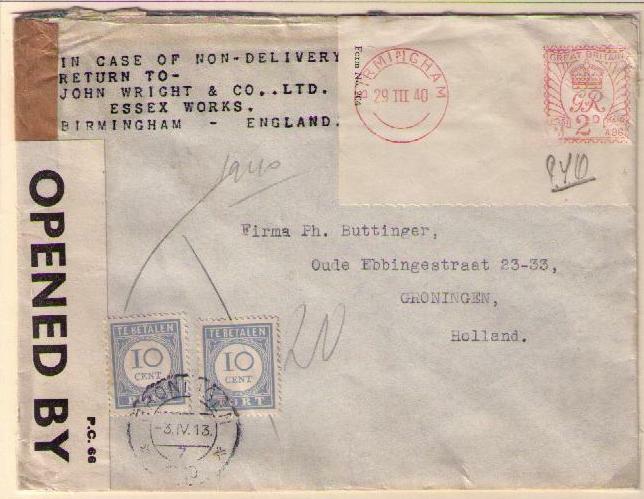 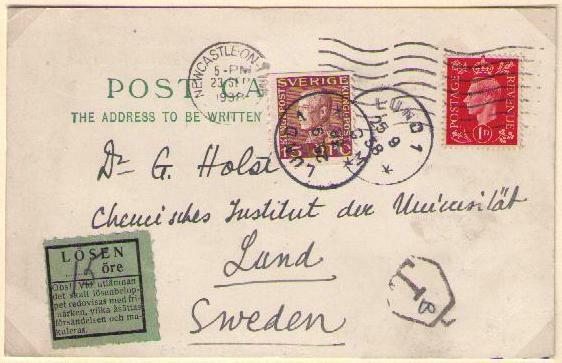 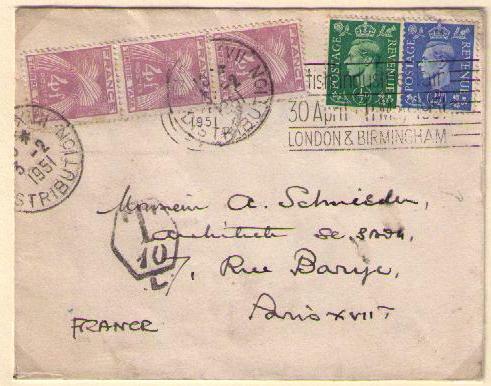 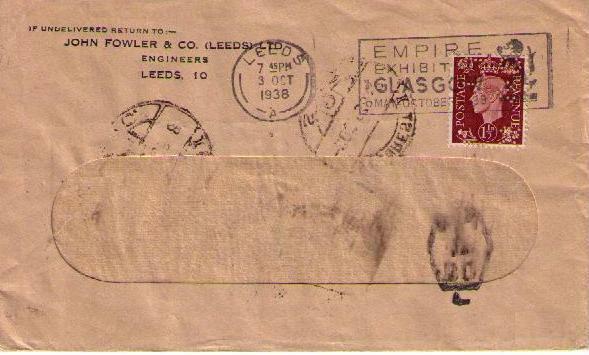 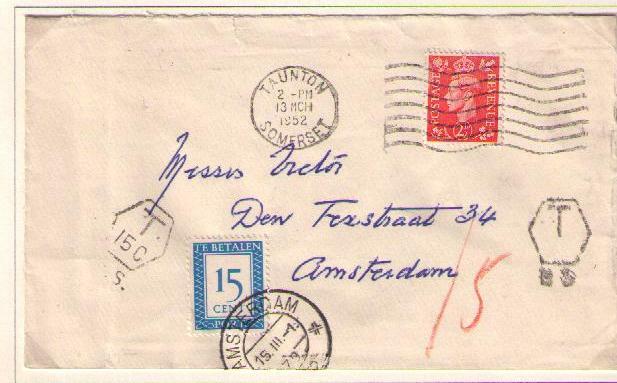 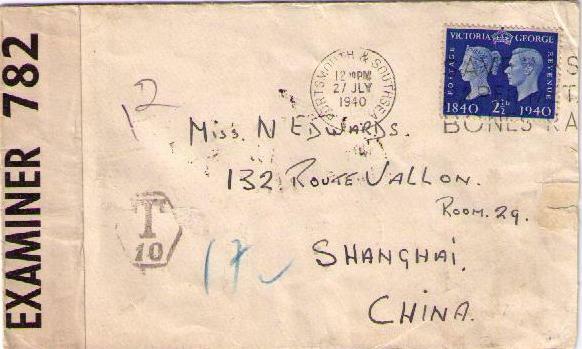 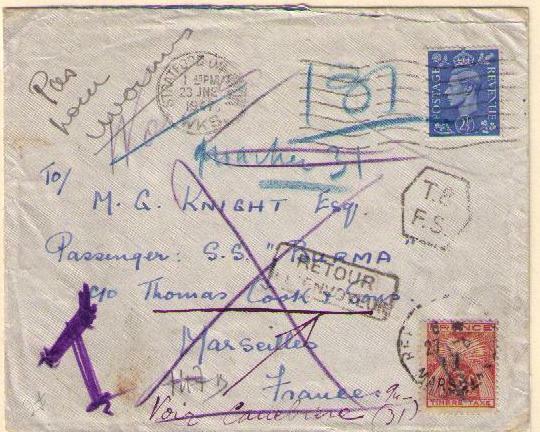 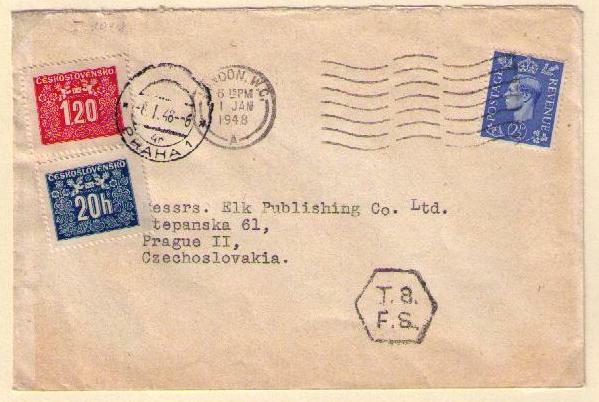 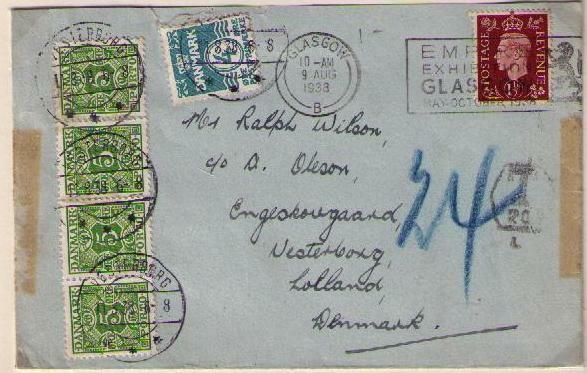 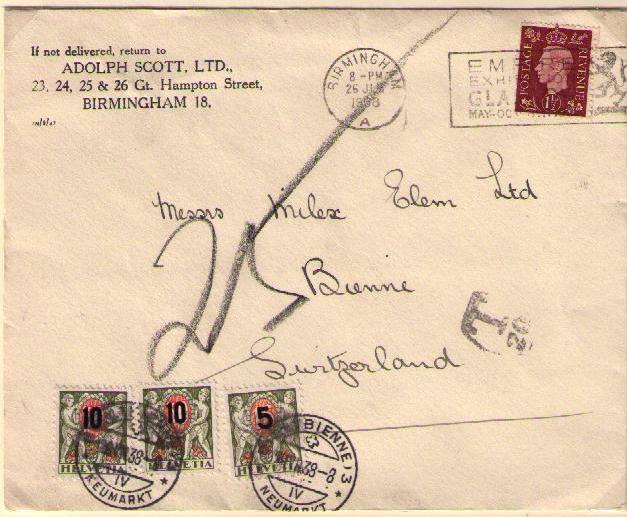 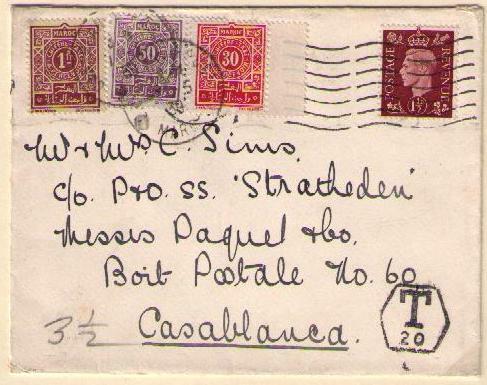 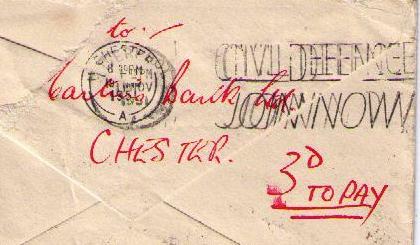 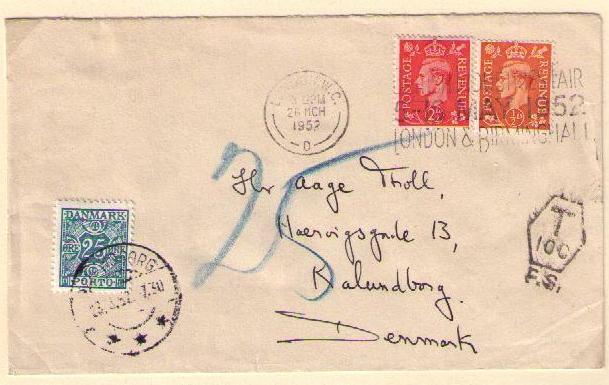 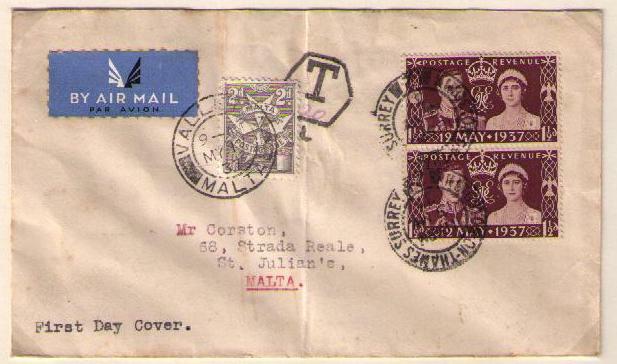 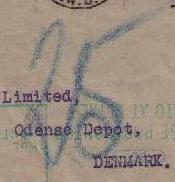 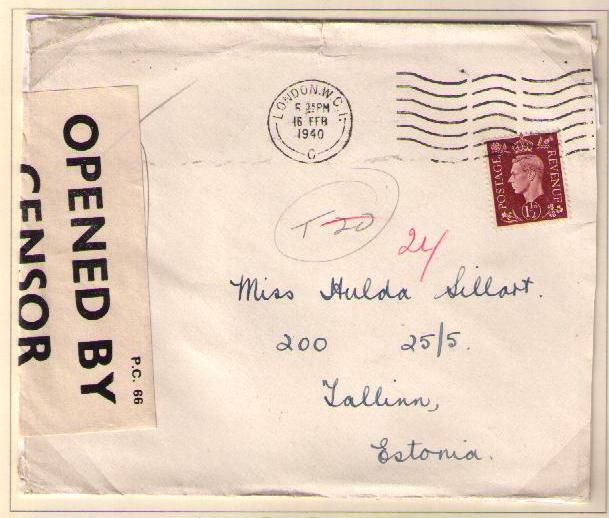 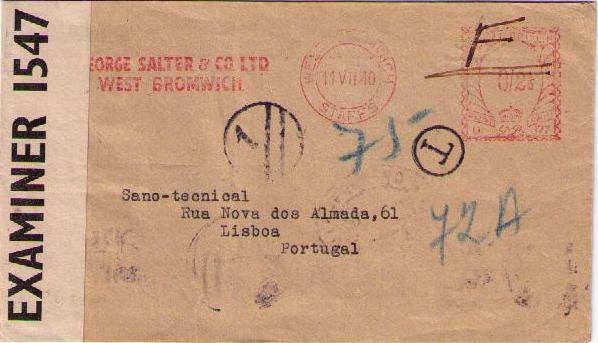 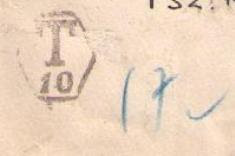 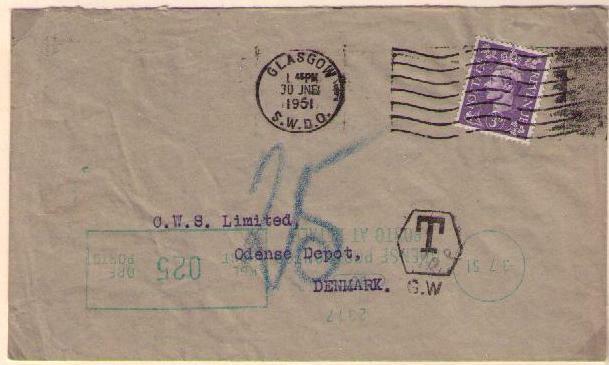 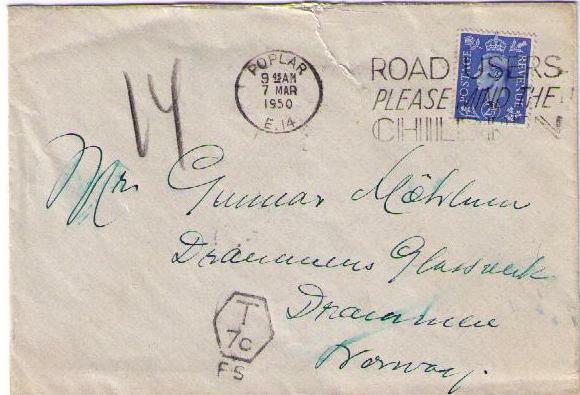 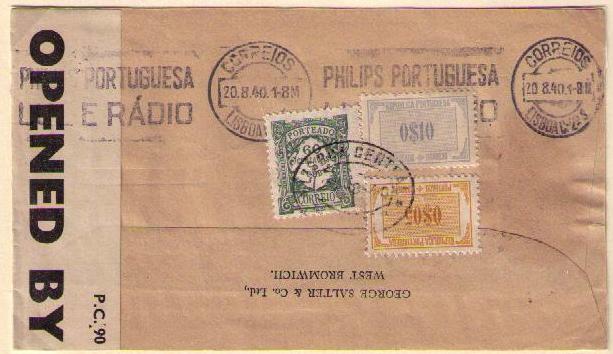 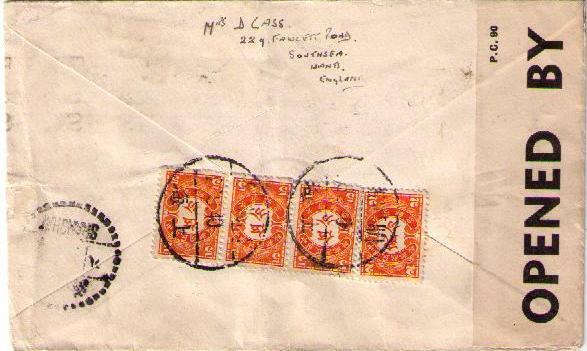 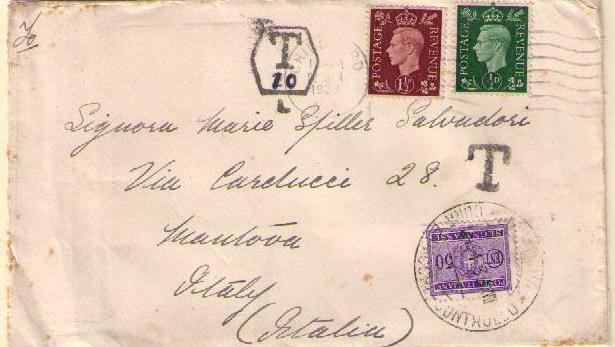 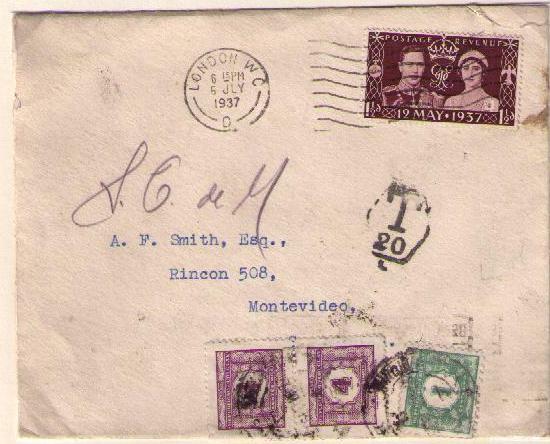 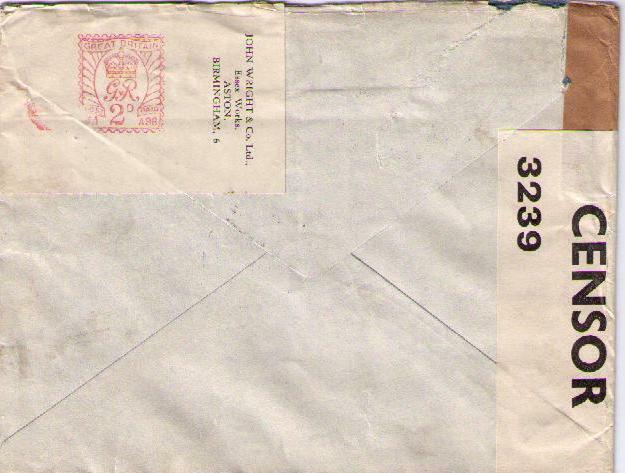 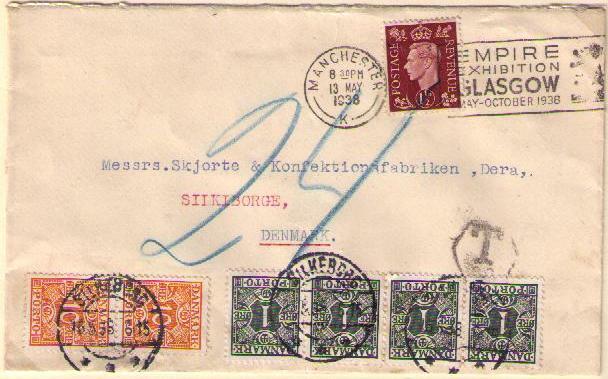 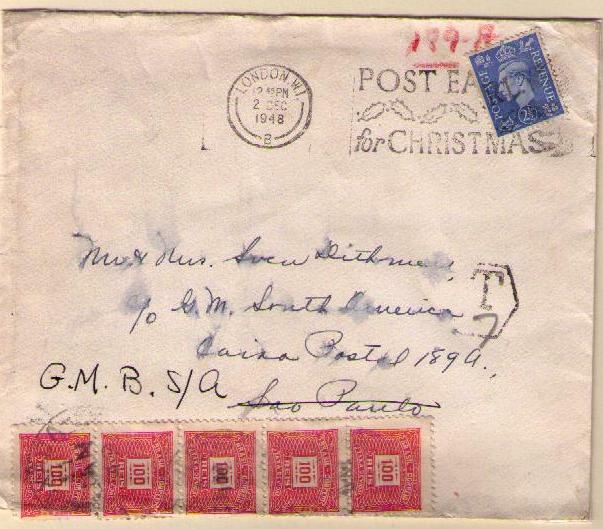 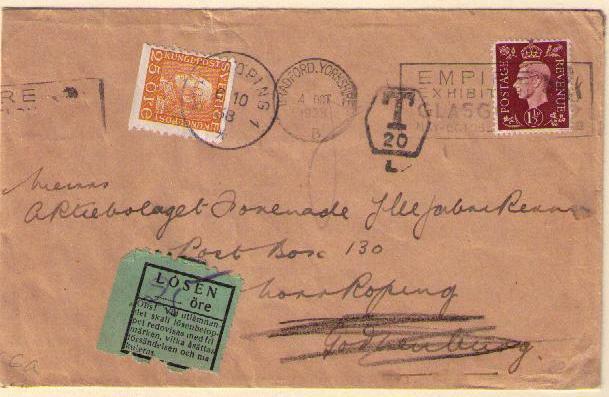 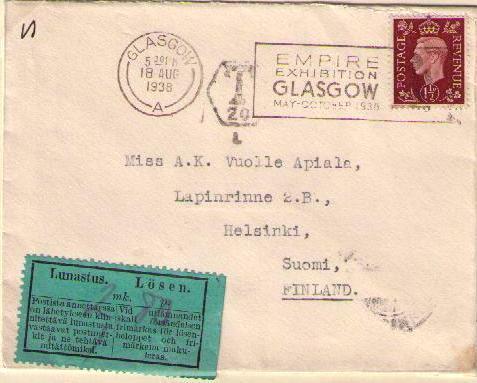 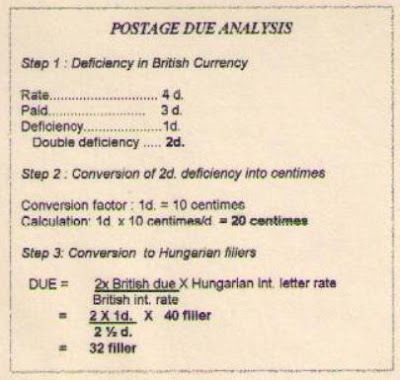 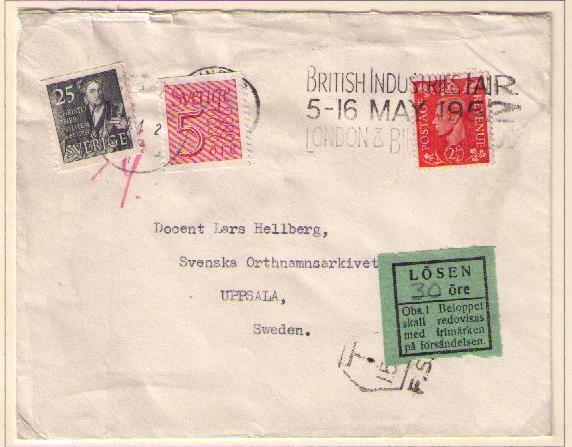 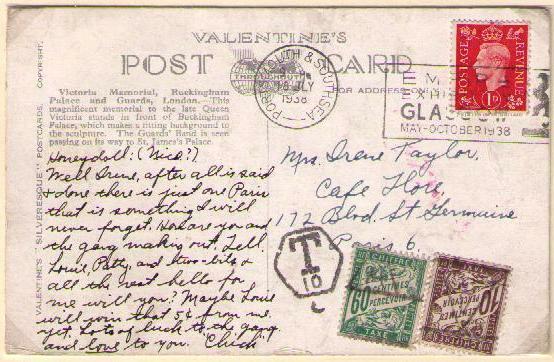 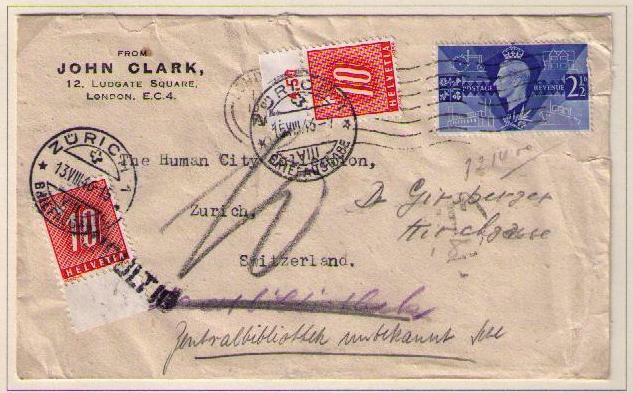 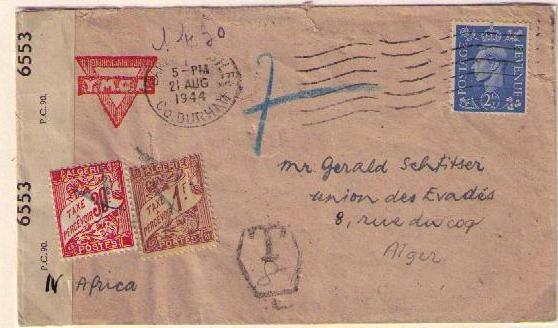 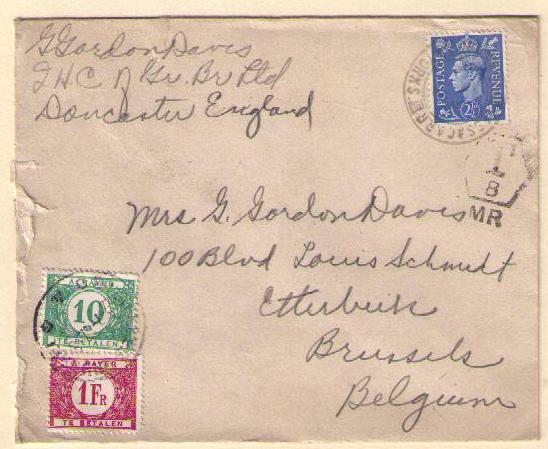 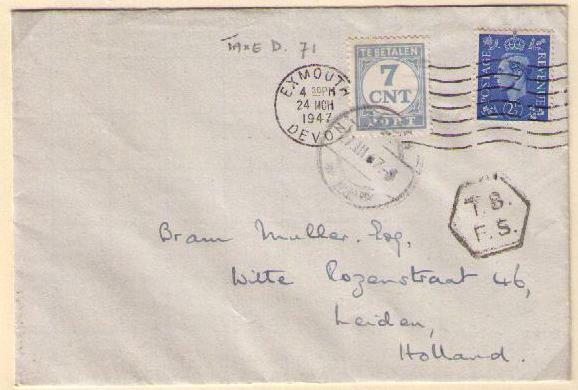 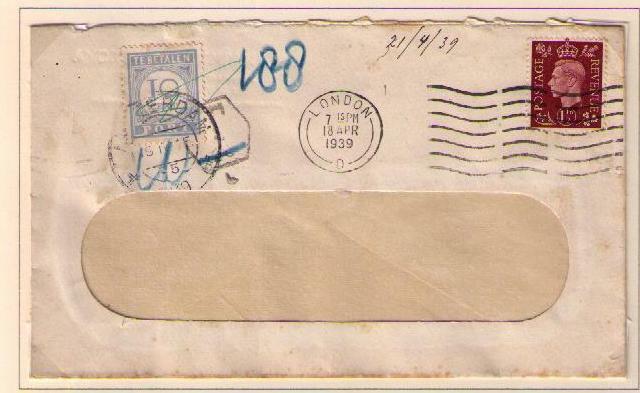 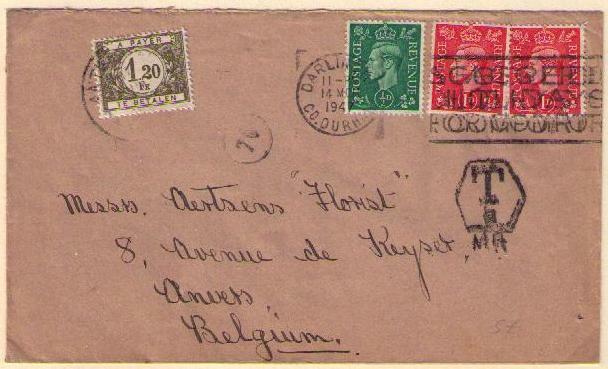 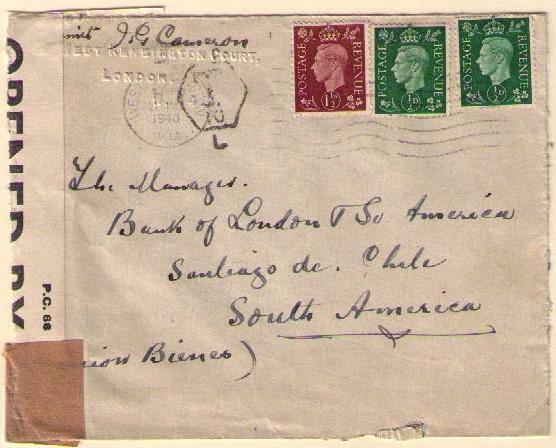 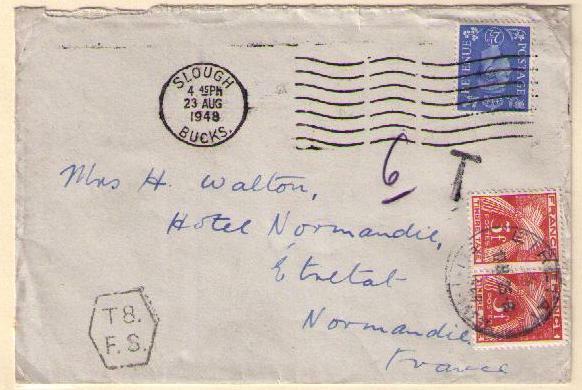 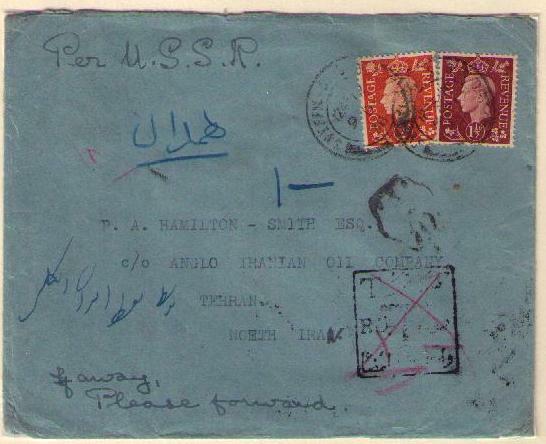 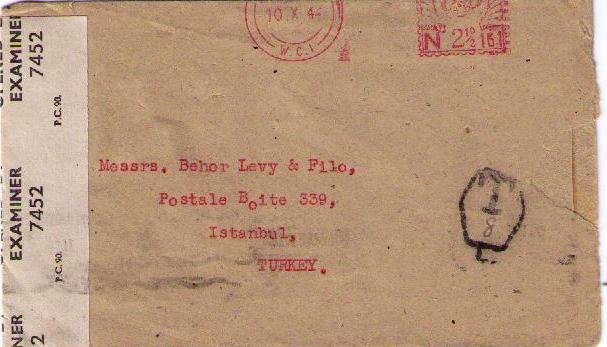 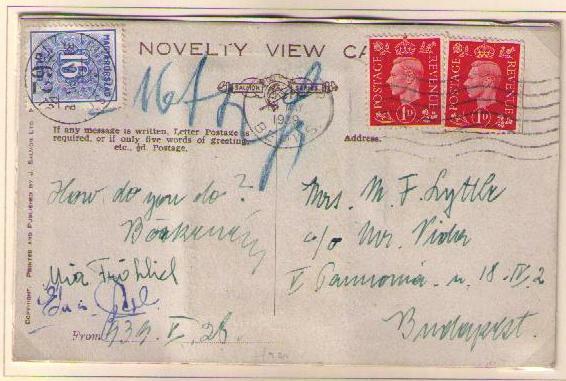 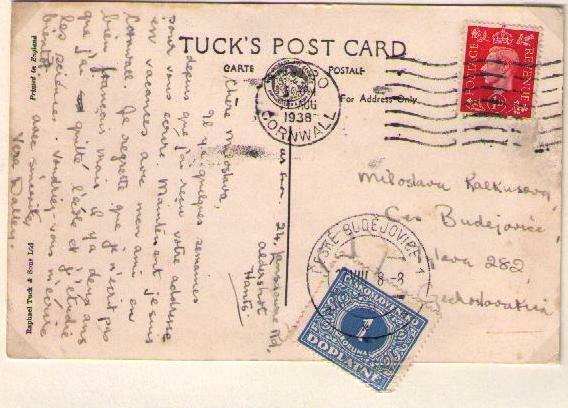 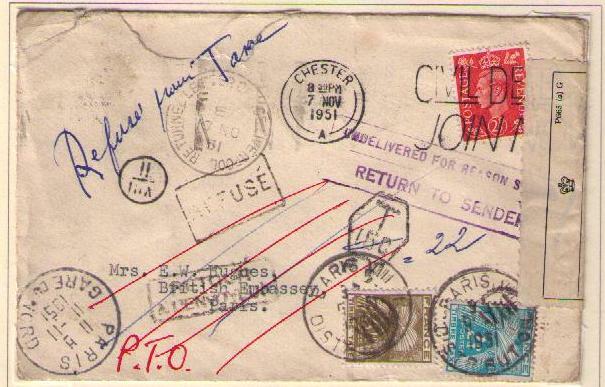 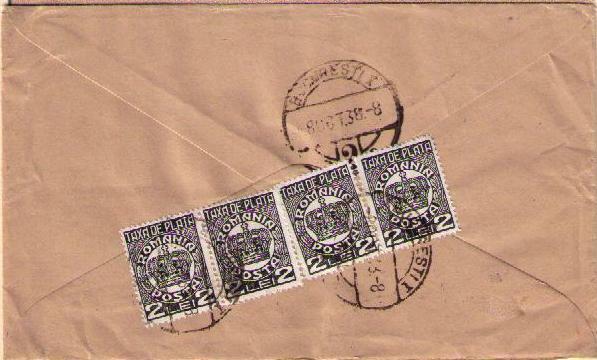 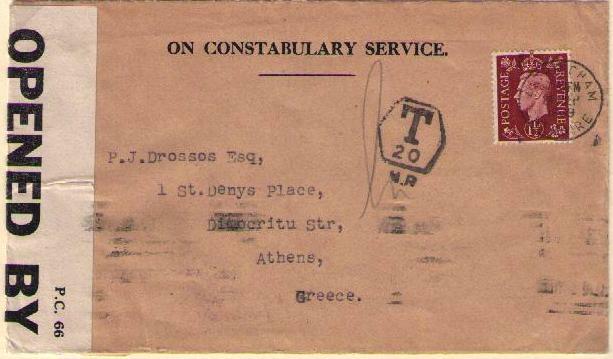 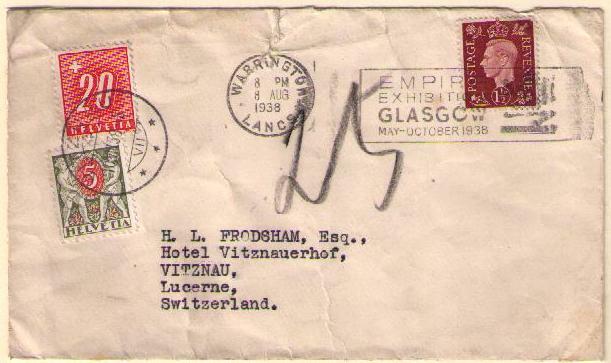 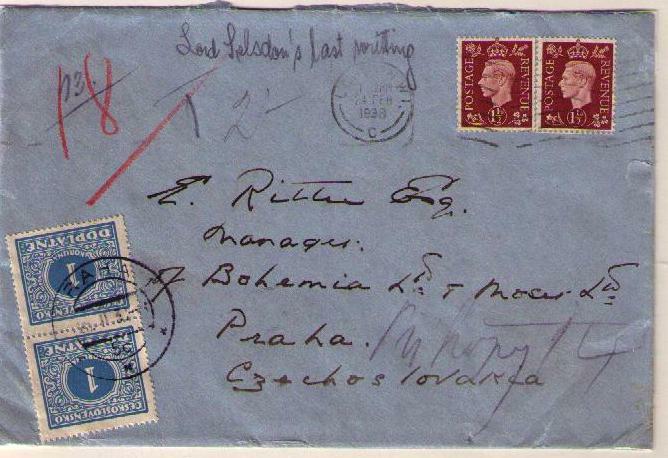 Unpaid or short paid international letters and post cards were liable to a charge equal to double the amount of the deficient postage, to be paid by the addressee. 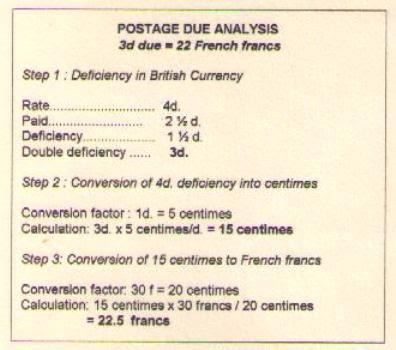 The country of origin applied a "T" (tax) mark on the underpaid correspondence with the amount due in UPU gold centimes. 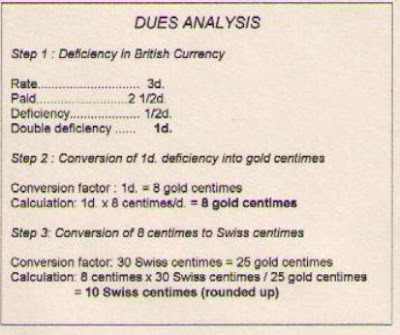 The value of the British pence in relation to the gold centime changed several times during the George VI period. 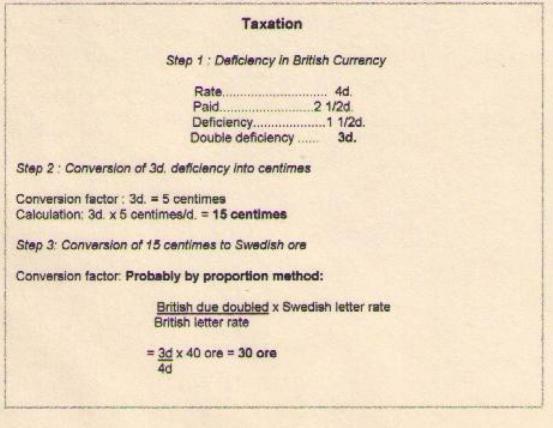 Shortpaid 1/2d and taxed 70 c.
2 ounce letter (37g) rate 4d. 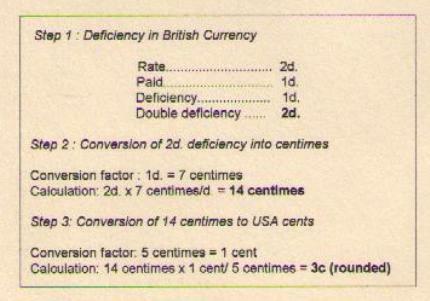 Prepaid 3d., thus shortpaid 1 d.
Shortpaid 1/2d. and taxed 50 cent. 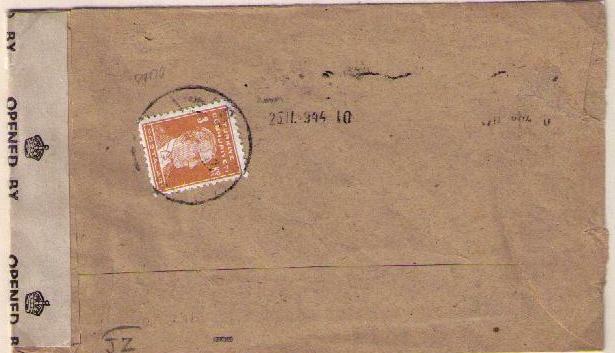 Incorrectly considered to be shortpaid because the meter tape was folded on the back of the envelope. 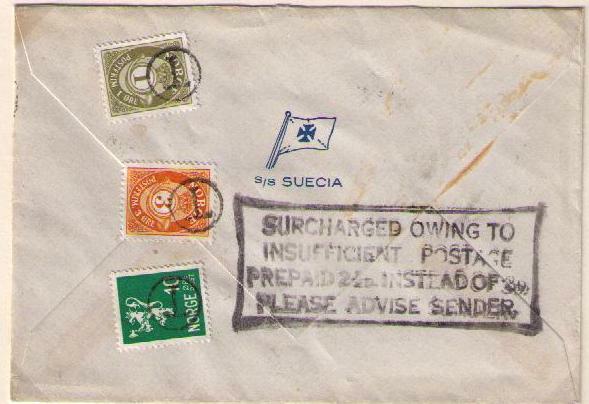 The covers shown below were taxed at the old rate of 1d. 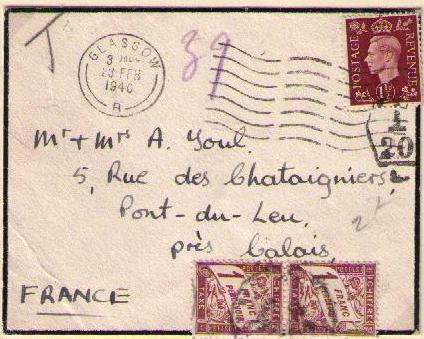 = 10 centimes. 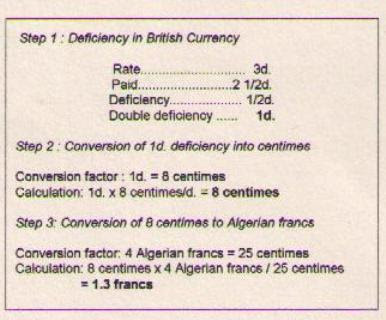 Algeria tax "1 fr. 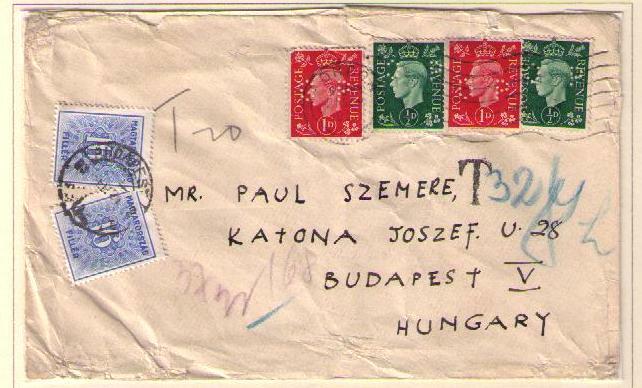 30"
Czechoslovakian 1.4 karunas paid the postage due. 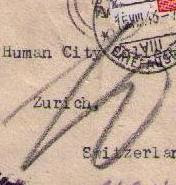 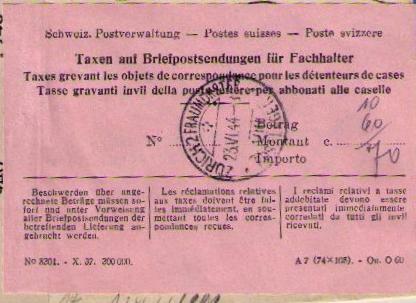 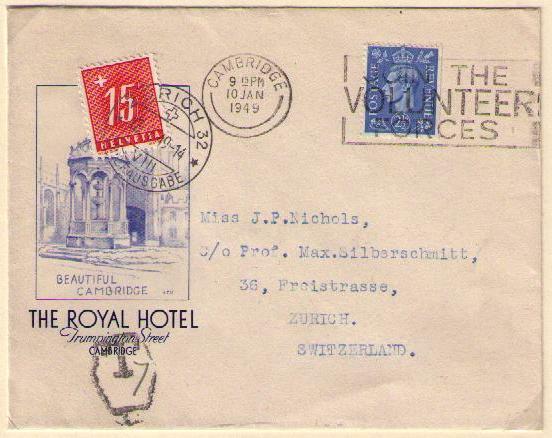 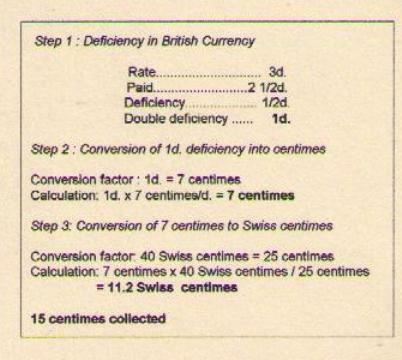 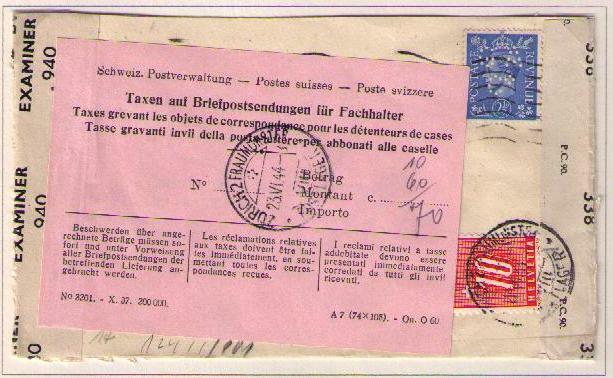 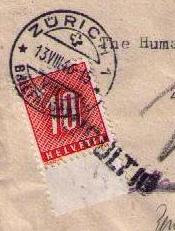 Swiss dues affixed twice because the letter was redirected. Excellent research. 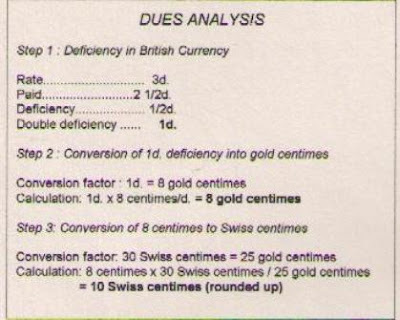 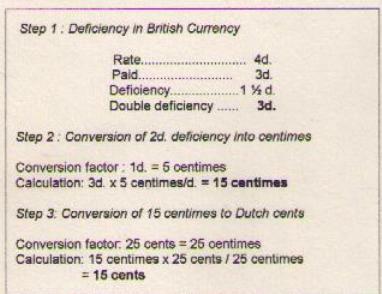 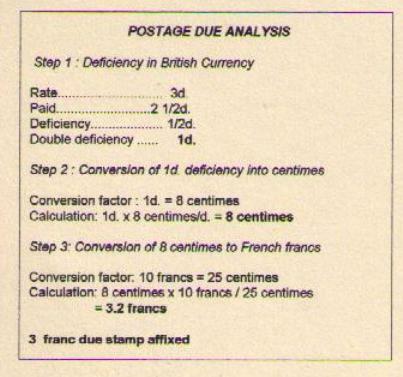 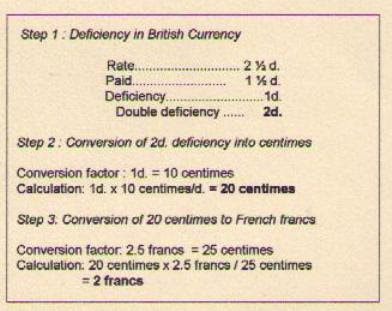 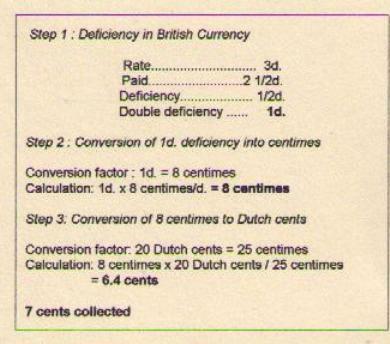 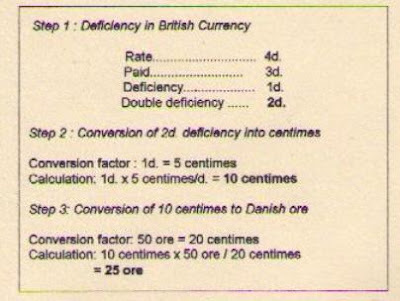 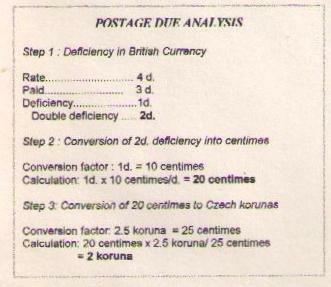 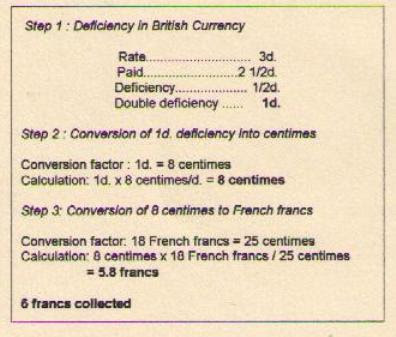 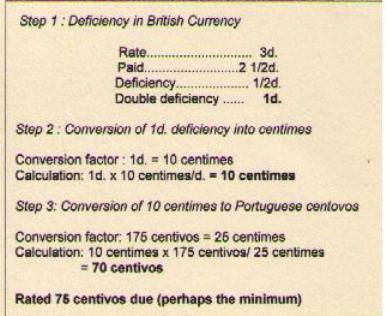 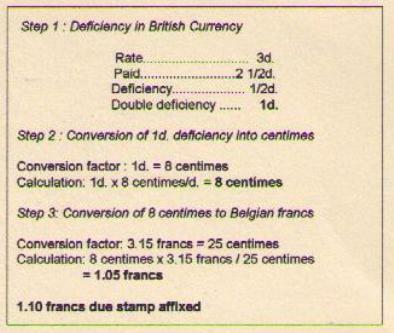 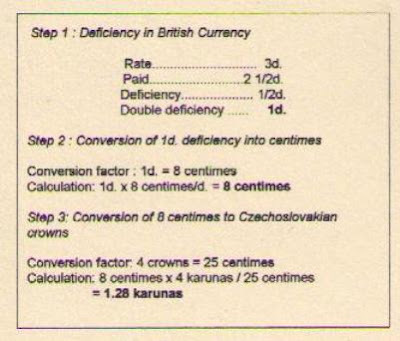 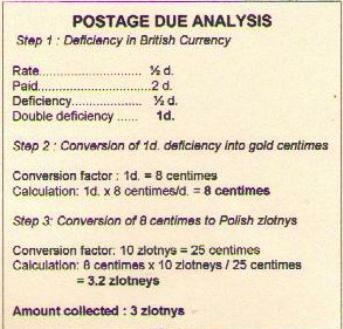 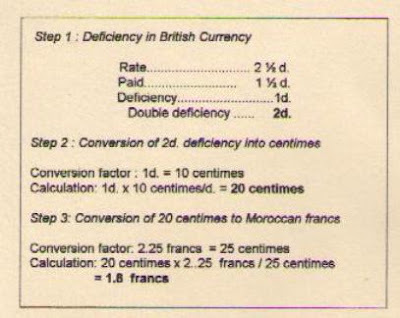 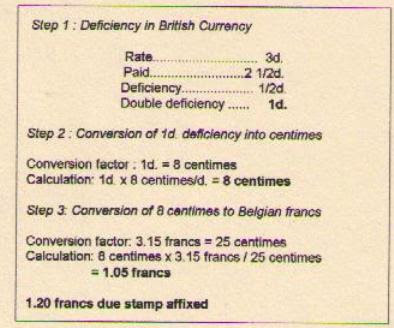 What references do you use to determine the conversion of various foreign countries' currencies to gold centimes across time?